I get the idea that the teaching of our children the things of God is a continual process. Don’t you get that idea as well? Sometimes we try to deliver people without ever finding out what’s going on upstream at the place that is causing people to cry for help right now. 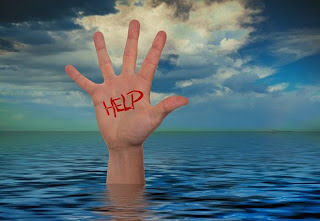 Many adults are crying for help in their lives now because of things that started earlier, or upstream, in their lives. Much of the trouble in the life of a future adult can be addressed by parents who do their job when their children are young. Upstream, in the beginning of a person’s life, God places children into families where they are to find love, acceptance, and value. Parents are the first line of defense for the well-being of life. ✞ It’s never too early to begin to teach your children the things of God; but it’s best not to wait until it’s too late.